A small house is often called a cottage. This word comes from England where it is used to mean a house that has one main storey, with a second, lower storey of bedrooms which fit under the roof upstairs. In many places the word cottage is used to mean a small old-fashioned house. 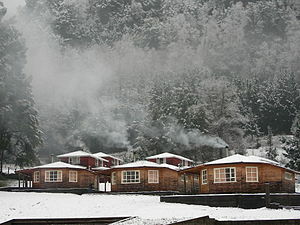 In the United States the word cottage is often used to mean a small holiday home. 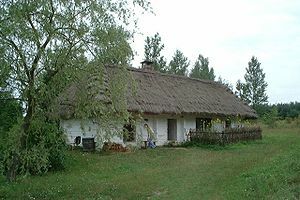 Cottages are usually found in villages or in the countryside, rather than in the town. They are nearly always built from material that can be found nearby. A cottage may be built of stone, of brick or of timber. It may have a roof of tiles, slates, shingles, shakes or thatch.